He is a humble Leeds lad and flies the flag for his home city in the boxing ring with great pride. 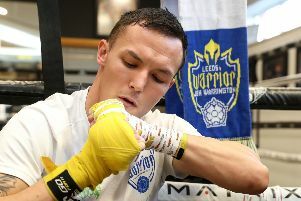 He has looked up to Josh Warrington throughout his amateur and fledgling professional career, monitoring closely the progress made by the IBF featherweight world champion. Josh Warrington and Carl Frampton face up to each other. But on Saturday night, Qais Ashfaq admits he is rooting for the challenger – Carl Frampton. “Josh is a Leeds lad but Carl’s in my camp and with him being in my camp, I’ve got to support my team-mate,” said the 25-year-old unbeaten professional. Ashfaq trains alongside Frampton and other fighters like Rocky Fielding and Martin Murray at Jamie Moore’s Manchester base. 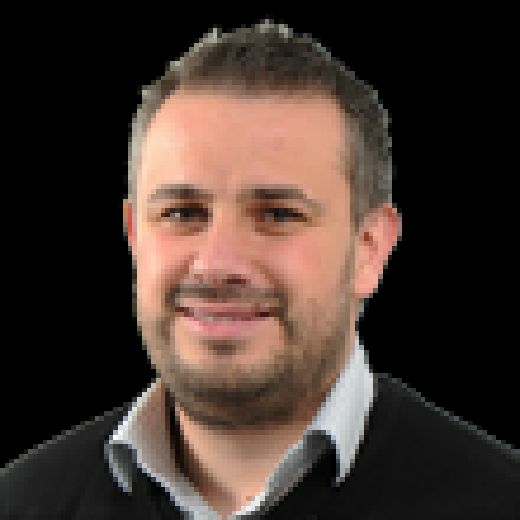 From there he has enjoyed a watching brief of Frampton, the Northern Irishman who is favourite to beat Warrington and wrest the IBF world title away from the Leeds hero. So even if he is behind enemy lines, are there any nuggets Ashfaq can reveal about Frampton? “I’m not doing that,” laughs Ashfaq. “But he’s looking very good. The more I see him the more impressed I am by him. “When he came to start training with Jamie he was class then, don’t get me wrong, but he’s just getting better and better. “People might be expecting a lower level from Carl but I wouldn’t be lulled into that. 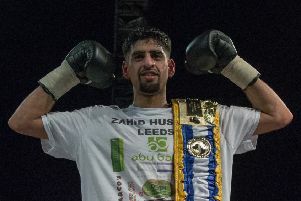 Ashfaq is four wins from four bouts into his own fledgling professional career, one that started in February and peaked last Saturday night at the Sheffield Arena with a fifth-round stoppage of Jay Carney. He has made no secret of his desire to be in a position to be winning titles of his own in a year’s time, with his place on the Matchroom roster of fighters usually ensuring a fast-track to such status. Learning from the likes of featherweight Frampton can only help the former Commonwealth Games and European Championships bantamweight silver medallist. After 18 months off through injury and the difficulty in finding a promoter after his Olympic experience in Rio, Ashfaq is keen to make up for lost time in 2019. Ashfaq added: “I look at some of my fellow Rio Olympians and it’s not that I’m jealous, it’s more a case of feeling like I should be where they are now. “After a year and a half off it took me a while to feel like myself again but the feelings came back ahead of my last fight in Sheffield. “Something has clicked and I feel a lot more comfortable as a professional boxer. “I feel more than capable of stepping up pretty quickly. “But everything takes time. I’m waiting, I’m calm, I’m patient and I can’t wait to get there next year.